Finally we have the Lexus hoverboard which also uses magnetic field but is different in certain contexts. It uses superconductors which are placed near the magnet to get the levitation effect. So we see that there are different types of hoverboards and each o them slightly differ in their working. However, as per the working of its individual components are concerned, the function is almost same in all the standard hoverboards. There are various sensors, as we already talked about them, which help the hoverboard maintain balance. That is why they are called self-balancing scooters. All you need to do is shift your body weight slightly to get set go. To make any turnings or cut through edge moves you need to pay a lot of attention as well. You can spin around, run past and travel at your own speed on these fascinating self balancing electric scooters which are in trend nowadays. Sensing how the center of gravity shifts is the first thing to master the art of riding hoverboards. Once you get this, it will be really easy to make out the working of these scooters. Again, you need a way to compensate for this shifting of the center of gravity. Even the very minute shifts are detected by the sensors present underneath the pressure pads of your hoverboard. Also, in order to turn left, you need to put right foot forward, and to move right, put your left foot forward. This is all about the working of self-balancing electric scooters. Their functionality depends very much on the working of its components like the gyroscope, sensors, motor, pressure pads, the control board, battery and many others. Although the hoverboard look promising in looks, however, even the simplest of the models have complex internal design which is engineered under the world class standard agency. They work well with minimum direction, and are safe for you and your loved ones. 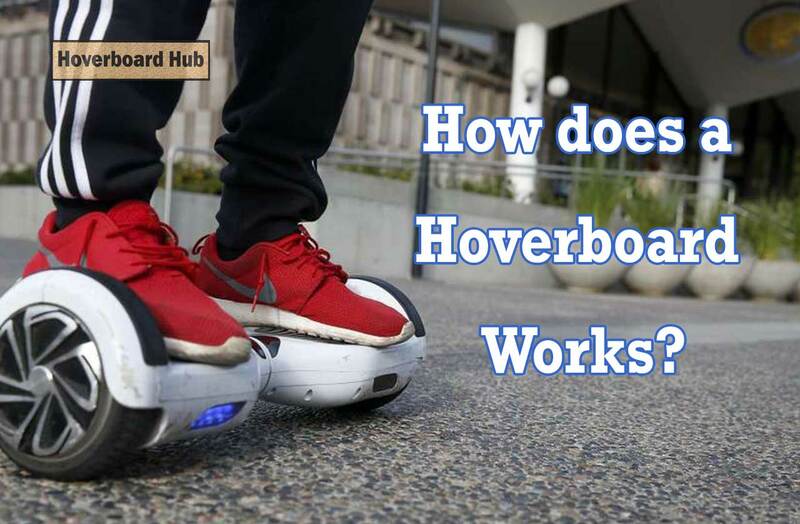 To know more about Hoverboards, read our other articles.